Factoring is a set of services including financing, administration of accounts receivable, and reducing the related risks. Factoring is an effective method to finance working capital of a company. Factoring that includes insurance of your buyers‘ credit risk ensures stable and reliable cash flows to your business even if the buyer encounters difficulties in payment. Administration of accounts receivable enables the seller to save time that would be spent for the monitoring and controlling the debts. Factoring without the right of recourse: An invoice financing method whereby the risk of customers’ insolvency is insured by an insurance company and the seller is not liable for the discharge of such customer‘s financial obligations if the customer‘s solvency problems arise. Domestic factoring services are provided to entities that are registered in the Republic of Lithuania and buyers of which are registered in Lithuania as well. Such clients are offered financing, invoice administration, accounting for trade debtors and risk reduction. Export factoring services are provided to entities that are registered in the Republic of Lithuania and buyers of which are registered in other countries. Such clients are offered invoice financing and administration as well as payment risk reduction. Import factoring services are offered in cases where buyers are registered in the Republic of Lithuania and suppliers are registered in other countries. The services include financing, invoice administration, accounting for trade debtors and risk reduction. Enables the seller to collect money more efficiently, which reduces doubtful debts and provides protection against the buyer‘s solvency risks. Increased purchasing power without using other financing sources. Hundreds of thousands of business in the world use the services of factoring companies in concluding commercial transactions. Factoring allows to raise additional funds for business financing, ensures stable cash flows and facilitates their planning, reduces management and administration costs; it may eliminate risks related to bad trade debts, therefore, companies may earmark more resources for their core operations. Factoring is a financing arrangement in which a monetary liability (an account receivable) is transferred to a factoring company and which includes financing, invoice administration, accounting for trade debtors, and reduction of risks related to doubtful debts. Factoring is an efficient and effective method of financing of working capital which enables the company to receive 80% to 90% of the invoice amount without pledging/mortgaging assets. Upon submission of the required documents, an advance payment is made to the seller; the seller receives the remaining amount after the buyer makes a payment against the invoice. Factoring is a very flexible method of financing as it is directly related to the sales volume: the larger the sales, the more funds are received. A company that is focussed on sales sometimes does not check solvency and financial standing of its buyers, therefore, the seller may face unforeseen difficulties if buyer’ solvency problems arise. In case of factoring without the right of recourse, a factoring company may assess risks related to various companies and groups of companies as it maintains a detailed database and client networks. Factoring guarantees stable and reliable cash flows for your company even when your buyer has solvency issues or goes bankrupt; however, disputes with buyer are excluded. Swedbank lizingas, UAB provides consulting to its client regarding the client‘s buyers and assists the client in collecting buyer debts. Monthly reporting to the seller (totals and a breakdown by invoices). It is quite usual that buyers are slow in paying. Reminding calls or warnings may damage relations between the seller and the buyer. Where the reminder comes from a third party, i. e. a financial company, the buyer‘s payment discipline may be improved and the seller-buyer relations are not affected. If the buyer fails to pay under the transferred claim, the seller is obliged to discharge such liability in full (in case of factoring with the right of recourse) or in part. Please read the terms and conditions of a factoring agreement carefully: the seller‘s liability to pay to the factoring company arises also in other cases stipulated in the agreement (e. g. breach of the duty to inform; disputes with the buyer over goods supplied or services provided). Improper fulfilment of financial obligations increase your financing costs and can have a negative impact on your credit history; if the agreement is terminated due to a material breach on your part, forced recovery of the debt may be initiated. In order to use factoring reports and e-invoices the company has to conclude an online banking agreement with the bank. In Swedbank‘s Internet banking system you may review and trace invoices transferred for financing and administration under the factoring agreement, daily payment reports (advance payments, reserves, payments of amounts collected for invoices for which no advance payments have been made), and reports on transactions completed in the past months (limits, outstanding invoices, consolidated invoices, commission fees, returned invoices and annexes to payment orders). The reports and e-invoices can be viewed by all the users indicated in the online banking agreement irrespective of authorisations granted to them by the company. Opportunity to view and print both consolidated and detailed invoices containing information on the past month‘s transactions. IMPORTANT. Reports and e-invoices can be viewed and saved in PDF format. You can also import the reports into your accounting programme using XML format. In Your Internet banking system you can view and print out both consolidated and detailed reports on transactions in the current and previous months and e-invoices free of charge. Please save them if you are going to use them in the future. Additional reports and reports and invoices for other periods can be ordered by phone 1633. Invoices not financed: this report shows all factoring invoices and credit invoices that were not financed due to incorrect information therein (incorrect buyer‘s business ID, incorrect invoiced amount etc.). Service fee for the payment/collection of funds in other currencies. 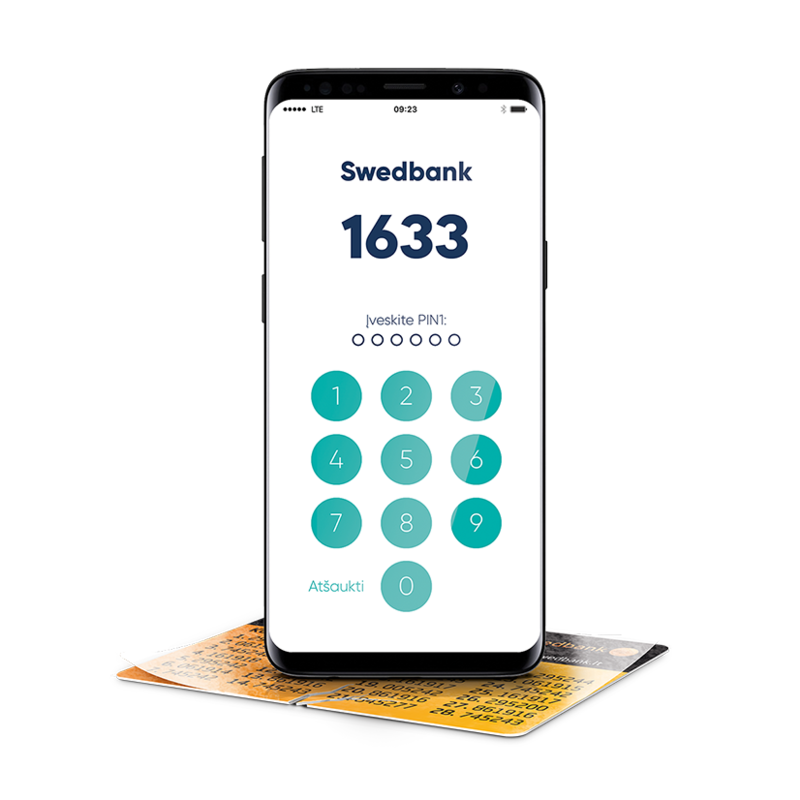 30 60 90 120 180 d.
This calculation is not an offer or obligation of „Swedbank lizingas“, UAB to finance invoices according to named conditions. Please contact our employees for additional information.